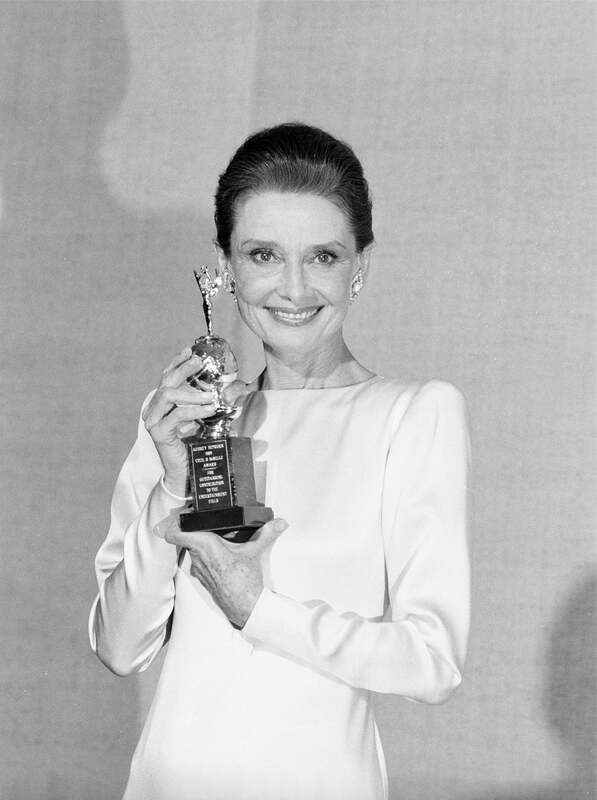 Audrey Hepburn receives the Cecil B. deMille trophy, awarded by the Hollywood Foreign Press Association for Outstanding Contributions to the World of Entertainment, at the 47th Golden Globes, held at the Beverly Hilton Hotel on Saturday, January 20, 1990. In 1954, Hepburn won Best Actress in a Motion Picture -Drama Golden Globe for Roman Holiday, directed by William Wyler, co-starring Gregory Peck. She won the World Film Favorite Special Award in 1955. She received a total of 10 Golden Globe nominations.